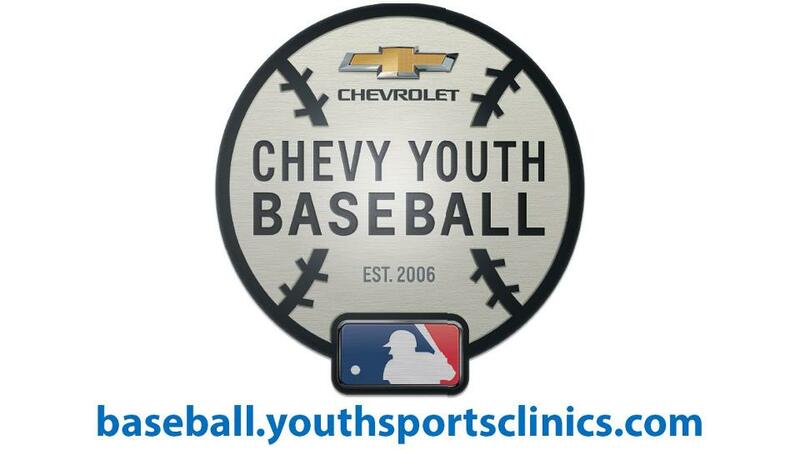 JACKSONVILLE, Fla. - Registration is open for two sessions of the 2017 Chevy Youth Baseball Instructional Clinic, offered free compliments of Southern Chevy Dealers. A pair of clinics with Jacksonville Jumbo Shrimp players will take place Friday, July 21, and Saturday, July 22, from 9 a.m. to noon at the Baseball Grounds of Jacksonville. Each session is limited to 200 players, boys and girls ages 6-14 of all skill levels. Registration is required for each participant online at baseball.youthsportsclinics.com. For online registration, select "Market" as "Jacksonville CYB Clinics," and enter the password "playball". Each child is required to RSVP and bring a signed clinic waiver form to the registration table on the day of the clinic. Participants should wear athletic apparel and bring their own glove, water bottle, and bat if available. Cleats are not allowed on the field. Tennis shoes are acceptable. Family members are strongly encouraged to attend the entire clinic and park in lots around the Sports Complex. Clinic organizers recommend bringing a cooler with refreshments, as concessions may not be available. Immediately following the clinic, a snack will be provided for all participants. Additional information, including detailed location information and itineraries, are available upon completion of registration at baseball.youthsportsclinics.com. Check-in will begin one hour prior to each clinic; check-in will occur at the Home Plate Gate of the Baseball Grounds of Jacksonville. For any questions, visit baseball.youthsportsclinics.com to view a list of FAQs or contact CYB Coordinator, Stephanie Villegas at (770) 337-3081 or svillegas@gmdealerprograms.com. UP NEXT: The Jumbo Shrimp continue their series with Mobile at 5:00 p.m. Friday, when they resume Thursday's suspended game in the fifth inning, with Mobile leading, 1-0. In the ensuing seven-inning contest, Jacksonville left-hander Mike Kickham (4-4) is scheduled to face BayBears right-hander Osmer Morales (3-2). Fans may visit any participating NAPA AutoCare Center to get a FREE general admission ticket for the games, which will be followed by NAPA AutoCare Family Fireworks. The Jumbo Shrimp will wear red "Bold City" jerseys on Red Shirt Friday, and fans who wear red can save $1 per ticket at the box office, or donate the $1 to the Intrepid Fallen Heroes Fund. Gates open at 4:30 p.m. for Miller Lite Happy Hour, presented in part by Wild Wing Café, with Miller Lite beer specials in the Craft Cave inside the third-base gate until 7:30 p.m. The Wheelhouse Chef's Table will include a buffet in the suite-level lounge open to all fans for $12 per plate. The game is presented by Gator Country 99.9. ABOUT THE JUMBO SHRIMP: The Jacksonville Jumbo Shrimp are beginning a new era of affordable family fun with the 2017 season presented by Community First Credit Union at the Baseball Grounds of Jacksonville. With a new lineup of ticket and group options, there is a reason for everyone to get part of the action by calling the Jumbo Shrimp at (904) 358-2846 or visiting www.jaxshrimp.com.